The Schilling coin on the brown Rauhledergürtel flares memories of bygone days. 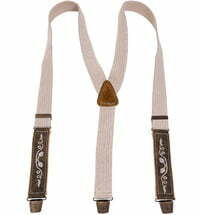 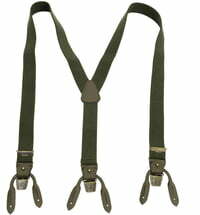 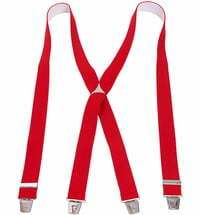 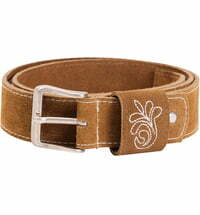 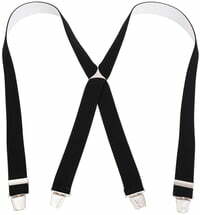 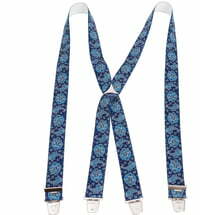 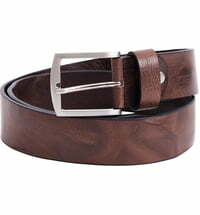 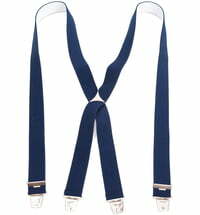 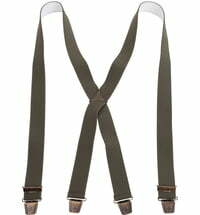 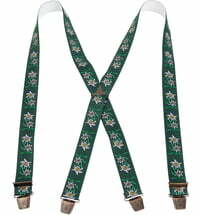 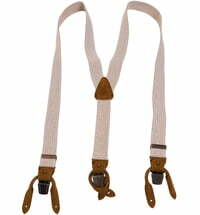 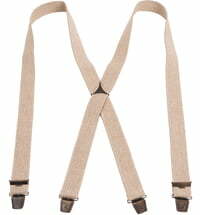 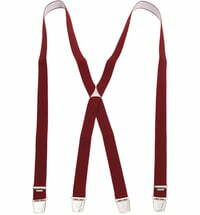 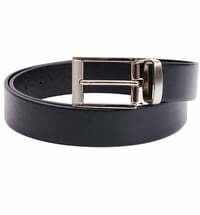 The belt is 4 cm wide and goes very well with lederhosen and jeans. 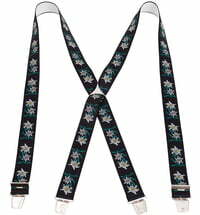 The white stitching adds additional accents. 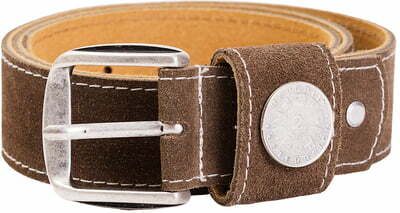 Note: The belt is easily shortened by means of a screw.